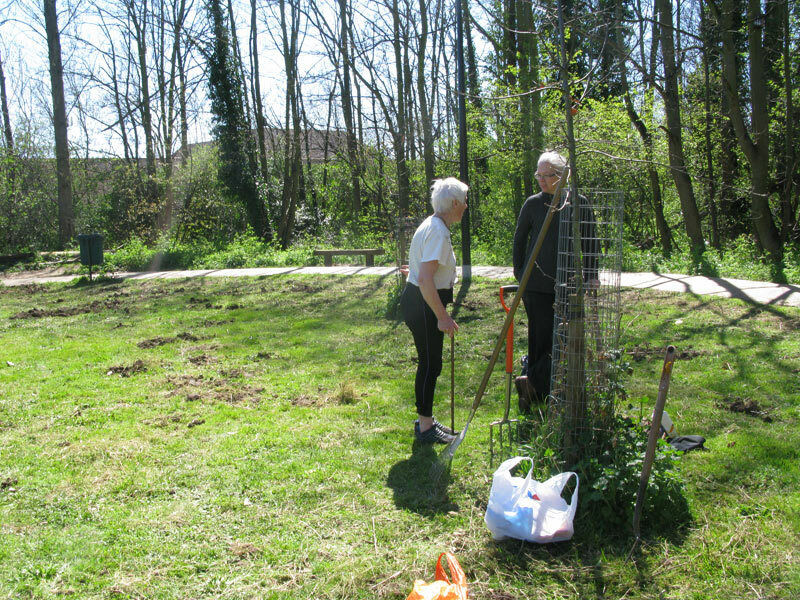 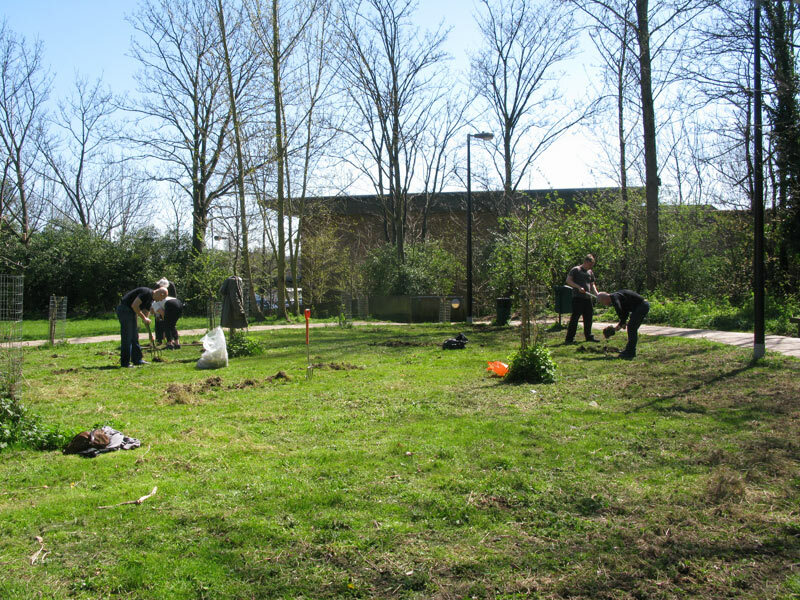 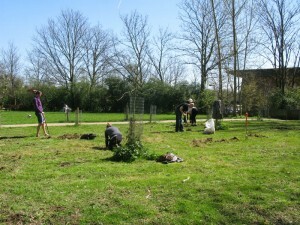 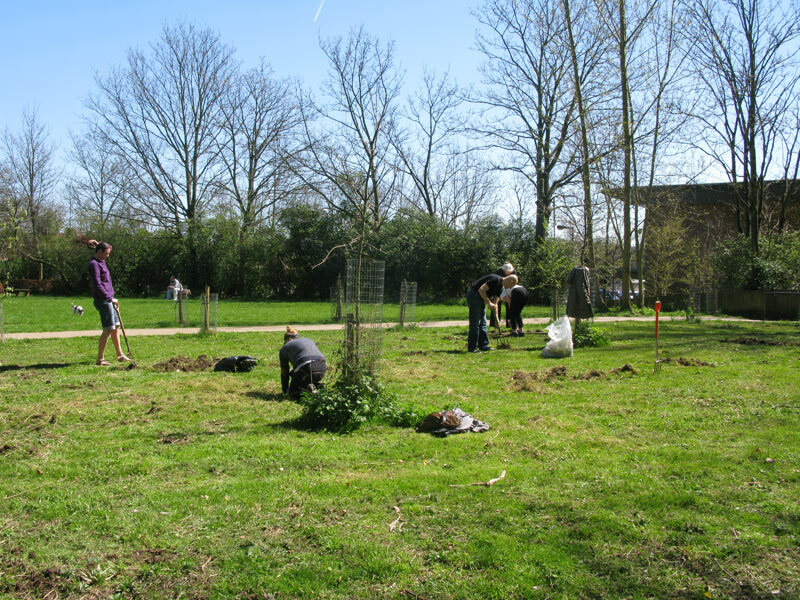 After the Spring Walk a few dedicated souls showed up to help re-seed the wildflower meadow. The council had mown it earlier in the week so that we could spread some flower seeds around. 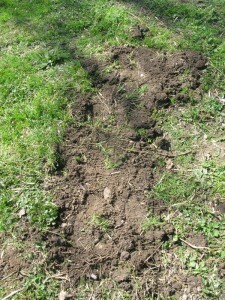 It became clear that just chucking seeds on the dense grass that had grown since last year was not going to work. 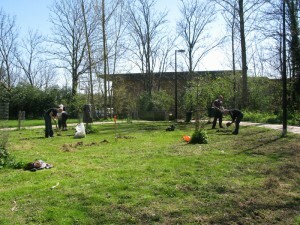 So we decided to make a few islands of bare earth, scatter seeds and see what happened. 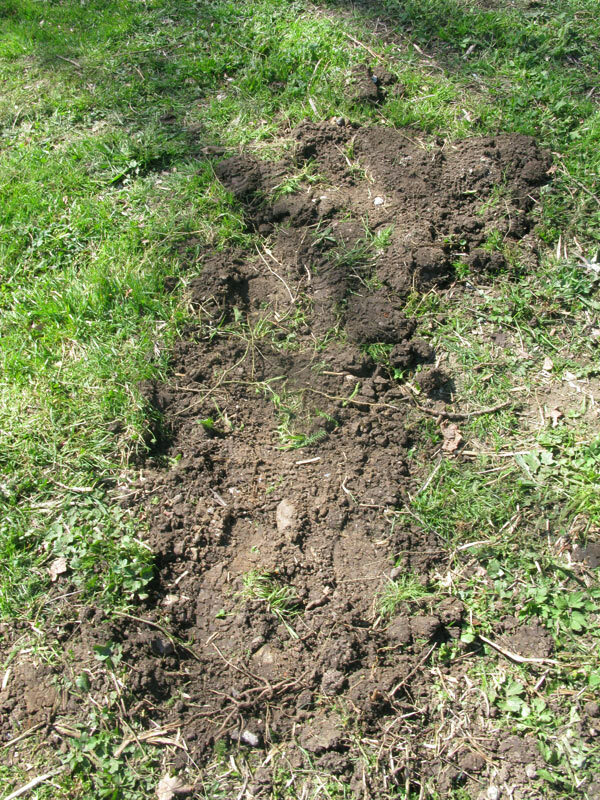 We were not feeling very optimistic as the grass was hard to clear and the wildlflower seeds we had bought from the pound shop looked dubious to say the least. 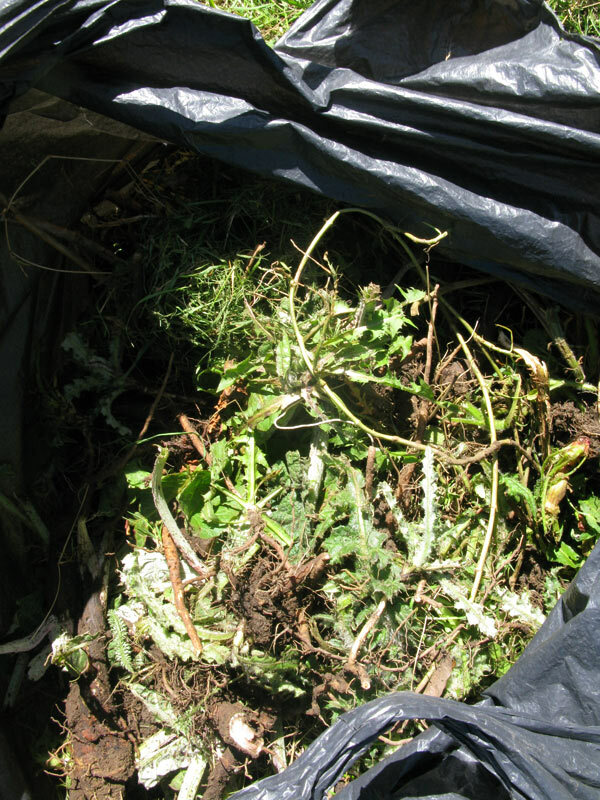 We also did our best to remove as many thistles and docks as we could find – we filled a couple of bin bags!